Good to have you working with us at Clown County Wrestling. We need a sharp mind like yours going ahead. As you may know, there was a huge wrestling event in town last weekend. Somehow, I guess through luck and hard work, we managed to use the hype to pull great crowd numbers for ourselves. Now, we've got some momentum, something we haven't had in a long time. It would be foolish not to capitalize on it. Add any superstars, teams, events, championships and gimmick matches you like, then add your company's details like the starting year and the creative power. Once created, others will be able to play your scenario. 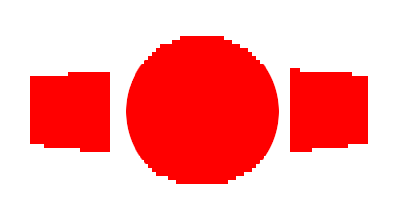 Your form data will be saved automatically. Add winning streaks at specific events. Add match contracts to be used at a specific event for a championship match. Add competitor companies to your game. Users will also be able to play with generated or no competition. Hire and fire Staff Members for your Company and level them up to increase their abilities. Hire Doctors to diagnose injuries and bring superstars back faster. Hire Scouts to scout talent and recruit talent, making them available to sign in the Indies. Hire Producers to create production packages to boost Popularity and Hype. Hire Trainers to increase Superstars' skills and manage callups. Hire Talent Managers to soothe unhappy Superstars and negotiate deals with them. Upgrade Company Facilities to unlock the ability to create custom promo packages, bring indie signings straight to the main roster and more! Upgrade your Save Slots to three! Run three saves, perhaps one of your favorite current day promotion, another for a historical one, and one of your custom universe, all at the same time. View Company Stats like Top Events, Best Matches, Awards Won and more. View Company Records like Most Title Wins, Longest Winning and Losing Streaks and more. 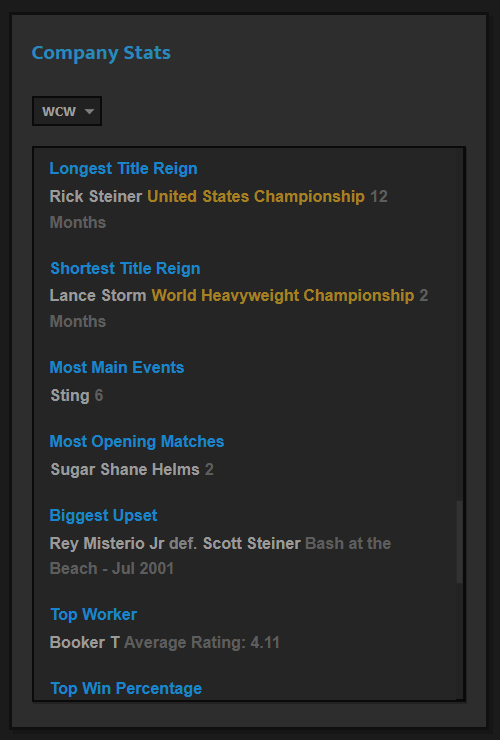 View Title Stats like Longest and Shortest Reigns, Best and Worst Matches and more. View a Title's Reign History, going through each's champion's defenses. 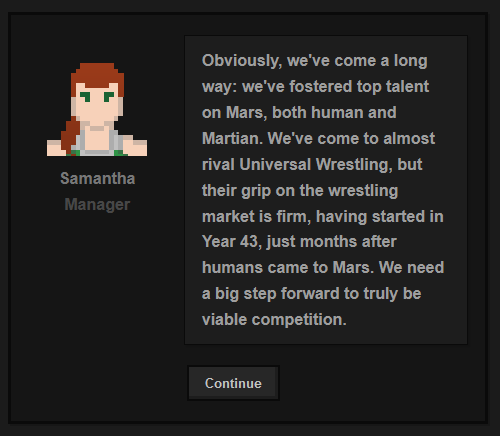 Unlock a story mode where you take control of the Martian Wrestling Alliance, working to dethrone Universal Wrestling. Work alongside different characters through a branching story. Unlock 3 new Experiments that can carry over to your other saves. Raise Segment Prestige by holding highly rated Segments, adding Segment Perks and unlocking new Segments. Unlock Segments like Title Destruction, Lost My Smile and more. Raise Feud Prestige by holding highly rated Feuds, increasing Feud Hype and unlocking new Feuds. Unlock Feuds like Streak vs Career, Legend Killer and more. Increase an Event's Prestige by getting high ratings, increasing an Event's Hype and allowing Event Streaks. Unlock Event Streaks, adding a Hype bonus to the Streak's Match and a win bonus upon breaking the Streak. Unlock Match Effects, adding a positive or negative Hype bonus to specific Gimmick Matches previously held at the Event. Increase a Tournament's Prestige by getting high ratings, increasing a Tournament's win bonus and the final Match's Hype. Simulate upto 3 years at at time, auto-booking Events and auto-managing the Company. Watch the Simulator sign Superstars, use Artifacts, callup Superstars and more. Unlock 11 powerful Gimmick Characters that add a large bonus to a Superstar's Gimmick. JoW Paid also includes all future paid features, all for a one time payment! Hi, Welcome to the Company! I'll be in touch with you regarding the Company's Goals. Please make sure you read my messages.